Bohemia Collections Dave Gold – A Barbarous Relic? Gold – A Barbarous Relic? How many times have you heard gold described as the "barbarous relic"? It is a favorite phrase of gold-bashers everywhere who are trying to make gold the object of derision. I cringe every time I hear it, which is all too frequently, because gold is neither barbarous nor a relic. There is indeed a barbarous relic: central banking. Central banks are barbarous, in part, because they conspired to put an end to Sir Isaac Newton's brilliant invention – the gold standard – that safeguarded sound money for 200 years. However, it is the process of central banking itself, as it has come to be practiced, that deserves the greatest public wrath. Money is a fundamental building block of our society because it allows people to interact with one another in the market process. Money existed long before governments and central banks began to "manage" it. Tragically, instead of being a neutral and unfettered tool in commerce, fair to one and all, money has now become a matter of force and decree, which is disruptive to the market process and therefore harmful to society. Prior to the creation of the Bank of England, every exchange in the trading activity that we call "the market process" tendered value for value. In other words, gold was exchanged for land, silver for food, etc. – assets were traded for assets. The Bank of England changed this process by creating money substitutes. Banknotes are not a tangible asset, like gold or silver. Banknotes are merely money substitutes and not money itself. Money substitutes are a liability of the bank issuing that paper currency that create all sorts of payment risks that one does not have when using tangible assets as currency. Because central banks act in secrecy, they are not held accountable. For example, the so-called Open Market Committee of the Federal Reserve is far from open. It meets and makes decisions behind closed doors. The minutes released one month later are thoroughly redacted, leaving outsiders in the dark about the members' deliberations. Central bankers consider themselves – and act as if they are – above the law. Moreover, this secrecy favors insiders, and it is this fundamental principle upon which central banks' market intervention has been constructed, including, for example, their intervention in the gold market. Central banks have freed governments from having to ask their citizens – through their elected representatives – for more taxes. Central banks can acquire government debt and use it to create currency out of thin air for governments to spend on their latest whims. Even worse, through their policies that create inflation, central banks enable governments to steal from their citizens. There are several tools in the central banks' arsenal, and one of them is disinformation, which they regularly practice. For example, central banks have come to make people believe that inflation is "rising prices." But wet streets do not cause rain. By changing the definition of inflation to one of "rising prices" rather than what it really is – monetary debasement engineered by central banks – the true culprits (the central banks themselves) are masked. Not only are central banks guilty of disinformation, but deception is also one of their most frequently used tools. The history of banking is replete with examples that demonstrate not just a lack of disclosure but, rather, outright deception. To give just one example, consider how central banks today account for their gold loans. They carry both gold in the vault and gold out on loan as one line item on their balance sheets. In effect, central banks are saying that they can ignore the truthful disclosure established by Generally Accepted Accounting Principles. As a result, they can report both cash and accounts receivable as one and the same thing. Accounting like that would make even the fraudsters at Enron blush. Central banks have, in effect, turned the market into a command (i.e., state-run) economy. The power to create money out of thin air brings with it the much greater power to control a nation's economy, and therefore the economic destiny of millions. Central bankers today act like the former Soviet Union politburo members, who pulled strings and pushed buttons to try to make the economy – which means each and every one of us who participate in the economy – bend to their control. But it is not only the economic destiny of millions that is determined by central banks. The exercise of power by central banks raises subtle, but potentially more disturbing, issues. Central bankers and their comrades in government know that the command-economy power that they have claimed forces them to walk a fine line between prosperity and economic collapse, given the inherent fragility of the credit-based monetary system they operate. To try to reduce this ever-growing fragility – in a vain attempt to make it easier for central banks to control the command economy effectively and totally – governments take away peoples' freedom. Central banks usher in controls, like the reporting of bank accounts and funds transfers, and policies, such as the "too big to fail" doctrine that underwrites bad decisions at banks with taxpayers' money. Controls perpetuate a central bank's stranglehold on power regardless of whether they are doing a good or a bad job – and it is usually bad – in commanding the economy. The command economy that central banks operate encourages the growth of debt, rather than savings. Banks want to expand their balance sheets – i.e., to make more loans – in order to earn greater profits. Governments want central banks to accommodate this objective. The resulting credit expansion provides the public with opportunities to acquire new things, which creates an illusion of prosperity that makes people believe their wealth is rising. The result of this debt-induced pseudo-prosperity is a complacent populace, which tends to perpetuate governmental power and politicians' perquisites. Instead of following a sound and time-tested "pay as you go" policy, consumers, businesses, and governments have adopted a new creed – "buy now and pay later." The mountain of debt that exists in the United States today, and the excessive consumption that continues to enlarge that mountain, are the direct results of central banks' activity and their need to grow more debt to avoid the inevitable bust that would follow if the debt growth were to stop. Newsletter writer Richard Russell explains it very simply in just three words: "Inflate or die." That reality explains why former Federal Reserve Chairman Ben Bernanke said, in effect, that he would drop $100 bills from helicopters if necessary to inflate the economy. Not far in the future, when the U.S. dollar collapses as just one in a long list of fiat currencies that have collapsed before it, people will look back and ask themselves how it was possible that barbarous institutions like central banks could have hoodwinked so many people into thinking they were good institutions acting in the public interest. The answer is that central banks have created the illusion of prosperity. Because people think that they are well off, they have no reason to question basic tenets that they are led to believe. For this reason, people are easily cozened into believing that gold is the barbarous relic, that central banks are doing a good job, that officially measured inflation is low, and that their financial future is secure. However, nothing could be farther from the truth. Based on the available data, it is possible that the prices the United States Mint’s numismatic gold products may be increased tomorrow. The pricing change would impact the recently released 2015 Proof Gold Eagles and the set the price for the upcoming 2015 Proof Gold Buffalo. The US Mint determines prices for numismatic gold and platinum products based on the average weekly prices of the metals. The average is calculated based on the London Fix prices from the prior Thursday AM to the current Wednesday AM. If the calculated average moves into a higher or lower tier established at $50 intervals, then a pricing change may take place. A secondary criteria requires that the Wednesday PM Fix price must agree directionally with any change. The latest weekly period has limited data due to the recent holidays, but the average based on the available numbers falls into the $1,200 to $1,249.99 range. This is one tier higher than the range used to establish current prices. If the weekly average remains within the higher range and the Wednesday PM Fix price is above $1,200, then a price increase would take place. The impacted products would include the remaining available First Spouse Gold Coins, 50th Anniversary Kennedy Half Dollar Gold Proof Coin, 2015 commemorative gold products, and the 2015 Proof Gold Eagle products. A higher price of $1,590 would also be established for the 2015 Proof Gold Buffalo, due to be released on April 9. Pricing changes for numismatic gold products have typically been made effective around mid-morning Wednesday. 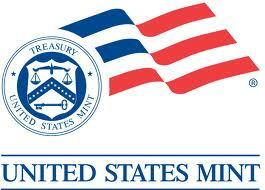 The United States Mint has announced new language for product statuses, which will be posted on the Mint’s website on April 16. The new statuses are in addition to the product being in stock and available with the “Add to Bag” button. This Item on Backorder – “Learn” text as follows: This item is available to be ordered now, but it is not currently in stock. Additional inventory is being made. Please add the item to your cart to see when additional inventory is expected to be available. Currently Unavailable (with a “REMIND ME” button) – “Learn” text as follows: We are currently out of this item, but more may be available later. Provide your email using the “REMIND ME” button and we will let you know when we are taking orders again. Sold Out (no “REMIND ME” button) – “Learn” text as follows: This item is no longer in stock and is no longer available for sale. By Brian Weepie, analyst, Stansberry Resource. It's time to start thinking about buying platinum. As regular Growth Stock Wire readers know, commodities like platinum are tremendously cyclical. That means their prices go through big cycles of boom and bust. That's because the prices of commodities are based largely on supply and demand. If demand is rising faster than supply, prices will rise. But if supply is rising faster than demand, prices will fall. That's what we've seen over the past few years with platinum. Platinum is a precious metal that is incredibly useful in industrial applications. It's used in electronics, automobiles, dentistry, and jewelry. As a result, there's enormous demand for it. To try to keep up with demand, the supply chain had to become more efficient. One way to do that has been recycling platinum. Today, recycling is a larger contributor to platinum supply than ever. Johnson Matthey, a company that focuses on the use and recycling of precious metals, estimates recycling now makes up 31% of annual platinum supply. For comparison, recycling made up just 16% of platinum supply in 2005. The growth in supply from recycling has helped push platinum prices down. The entire precious metals sector entering "bust" mode in 2011 also helped drive platinum prices lower. Recently, the strength in the U.S. dollar (it's up around 24% against other currencies since July) has caused most commodities – including platinum – to fall. Platinum prices are down around 25% since July. As I said, prices are now at a five-and-a-half-year low. But the weakness in platinum prices is likely almost over. You see, while recycled platinum supply has been increasing, platinum production has been dropping. The primary culprit of falling production has been South Africa. In 2013, about 72% of the world's mined platinum came from South Africa. The country holds nearly 90% of the world's platinum reserves. But last year, 70,000 employees went on strike for several months at three major South African platinum mines. The strike led to an 18% drop in world platinum production. The low price of platinum has also been making production less economic worldwide. It's more difficult to mine platinum for a profit. So, many producers are cutting back production. This has caused platinum supply to fall by 6% over the past four years – despite the increase in recycled platinum. Meanwhile, platinum demand continues to increase. As I said, platinum has industrial applications in electronics, automobiles, dentistry and jewelry. For example, platinum is a main component in catalytic converters, which cut down on air pollution from vehicles. Thanks to an increase in demand for catalytic converters from places like China, Johnson Matthey says platinum used in automobiles is up by more than 300,000 ounces over the past four years (and by 1.2 million ounces since 2009). And platinum used in cars will continue to increase. As I told you last year, to combat their growing pollution problems,countries like China are instituting vehicle-emission standards that require a catalytic converter in every new car and truck in the country. And the number of new cars sold in China is increasing sharply. Last year, automakers sold nearly 20 million passenger vehicles in China. Recently, they sold more than two million cars in China in a single month for the first time. More new cars in China means there'll be more demand for platinum. Demand for platinum jewelry is also increasing. Since 2010, the amount of platinum used in jewelry has increased by 23%. The increase in demand – coupled with last year's big production drop – has caused us to use 1.8 million more ounces of platinum than we produced and recycled over the past four years. This deficit can't go on forever. Eventually, the supply/demand imbalance WILL force platinum prices much higher. When that happens, investors holding platinum bullion or an exchange-traded fund that responds to the price movements of platinum, like the ETFS Physical Platinum Fund (PPLT), will profit. The platinum price is still moving lower. So I don't recommend investing in the sector right now. But soon, prices should break out. Once the uptrend starts, it'll be time to buy. Officials in the European currency union (or "eurozone") reportedly approved Greece's reform plans… and the country is back on track for its four-month bailout extension. Regular Digest readers know we aren't concerned with the situation in Greece. It's in everybody's best interest for the eurozone and Greece to cooperate. And we're sure they'll eventually reach a deal. The Federal Open Market Committee's (FOMC) assessment that it can be patient in beginning to normalize policy means that the Committee considers it unlikely that economic conditions will warrant an increase in the target range for the federal funds rate for at least the next couple of FOMC meetings. If economic conditions continue to improve, as the Committee anticipates, the Committee will at some point begin considering an increase in the target range for the federal funds rate on a meeting-by-meeting basis. Before then, the Committee will change its forward guidance. A quick glance at the stocks hitting new 52-week highs this week shows the U.S. consumer is alive and well. First, home-improvement retailer Home Depot announced a 36% increase in fourth-quarter earnings to $1.4 billion. Revenue rose 8.3% to $19.2 billion. Home Depot also said it was buying back $18 billion of shares. Fellow home-improvement chain Lowe's and homebuilders Lennar and D.R. Horton also hit new highs. Restaurants Darden Restaurants (which owns Olive Garden, Longhorn Steakhouse, and Capital Grille), Domino's, Restaurant Brands International (Burger King and Tim Horton's), Papa John's, Popeyes, Jack in the Box, Sonic, Starbucks, and Texas Roadhouse all hit new highs, too. Booze giant Anheuser-Busch InBev and cigarette companies Altria, Lorillard, and Reynolds American hit new highs. "Middle American" retailers AutoZone, Dillard's, Dollar General, and Ross Stores hit new highs. I borrowed the line "it's a bull market, you know" from one of the greatest books ever written on trading – Reminiscences of a Stock Operator, by Edwin Lefevre. The quote comes from a trader in the book nicknamed "Old Turkey." And Old Turkey's advice is as good today as it was when the book was published in the 1920s. When the market is rising, it pays to be along for the ride. We excerpted a bit about Old Turkey in a classic DailyWealth essay from 2007. It's a great, short read. Click here to read it. Elsewhere in the market, the currency wars are still raging. And that's super-bullish for gold. The precious metal is stealing headlines as global central banks race to destroy their currencies. Record-low interest rates around the world make gold a wonderful alternative currency. Gold pays no interest… so it's more attractive when government paper has zero (or negative) yields. Gold is advancing in lockstep with the U.S. dollar. The markets view gold as the "anti-dollar," so seeing the two assets rise together is unusual. Still, the dollar is one of the most popular trades in the world. There are certainly plenty of reasons why the greenback should be the world's currency darling, but at some point all the news is in the price – we may well be there in terms of the U.S. dollar story, which looks long in the tooth even if not totally over. Rosenberg also asked what happens if some of these speculators simply take profits. True Wealth Systems editor Steve Sjuggerud says the dollar has peaked. And when money does start to leave the dollar, we think a lot of that capital will flow into gold. Again, gold is more attractive than parking money in negative-interest-rate German and Swiss government bonds. This is important. We want to own gold when it's in a global bull market. Gold rising in U.S. dollar terms alone doesn't show us we have a real gold bull market. That could just mean the U.S. dollar is in a bear market. But gold rising against all four of the world's major currencies – the U.S. dollar, euro, yen, and pound – shows we're in a major gold bull market. And based on history, this is the best time to own gold. Steve also pointed out another major bullish indicator was flashing "buy" for gold. Historically, when these two indicators both say buy, it's a "super signal" that returns 47% annualized gains in Steve's favorite gold asset. Of course, gold is just one of the assets Steve tracks in True Wealth Systems. True Wealth Systems is an advisory service Steve and research analyst Brett Eversole developed based on sophisticated computational models. Steve worked with Brett and a PhD in mathematics and spent years and nearly $1 million building custom analysis software, a historical back-testing program, and a chart-making software. Steve has constructed safe, successful trading systems using these incredible tools. The result is a high-end trading service based on decades of Steve's financial knowledge. The computers follow virtually every market in the world and alert Steve and Brett when there is a tradable "setup." These signals reflect strategies that Steve has traded personally over many years as a broker, mutual-fund manager, hedge-fund manager, and newsletter editor. The computers have back-tested these strategies rigorously, and Steve recommends action when the statistics line up. Steve also recently put together a presentation explaining the strategies he uses in True Wealth Systems… and why he focuses his trading on exchange-traded funds (ETFs). For one, you save a fortune on management fees when you buy ETFs instead of other actively managed funds. It's a great educational piece. And should you decide to try True Wealth Systems, you'll gain immediate access to Steve's top gold trade. You can watch his presentation right here. Residual weakness expected off rising $$$! Click on "US Coin Encyclopedia" to be directed to this interesting article!